In the 2011 census, Kelowna had a population of almost 180,000 making it the largest inland city in British Columbia. In fact, the greater Kelowna area is larger than the greater Vancouver area! With shifting zoning restrictions, and decades of urban sprawl, the city is always growing. Finding and removing graffiti over such a vast area is quite the undertaking. 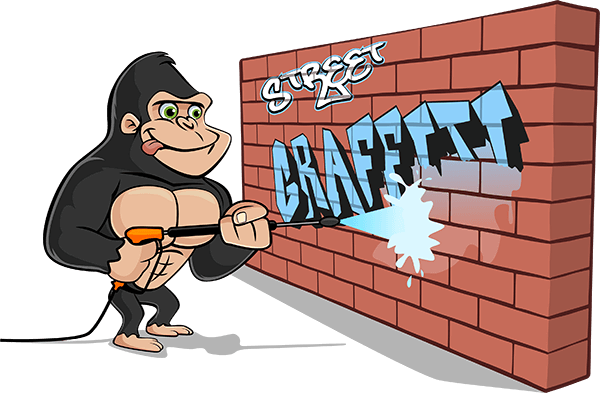 There is no better company to call than Gorilla Property Services for your Kelowna Graffiti Removal needs. When we send our technicians to your home or business, our mission is to let the culprits know graffiti will not be tolerated. There are a few steps we take to make the message clear. The perfect environment for graffiti taggers is a quiet, unsupervised area where they have room to work freely. A regular patrol of the area is crucial. Swift treatment is the key to permanent removal. 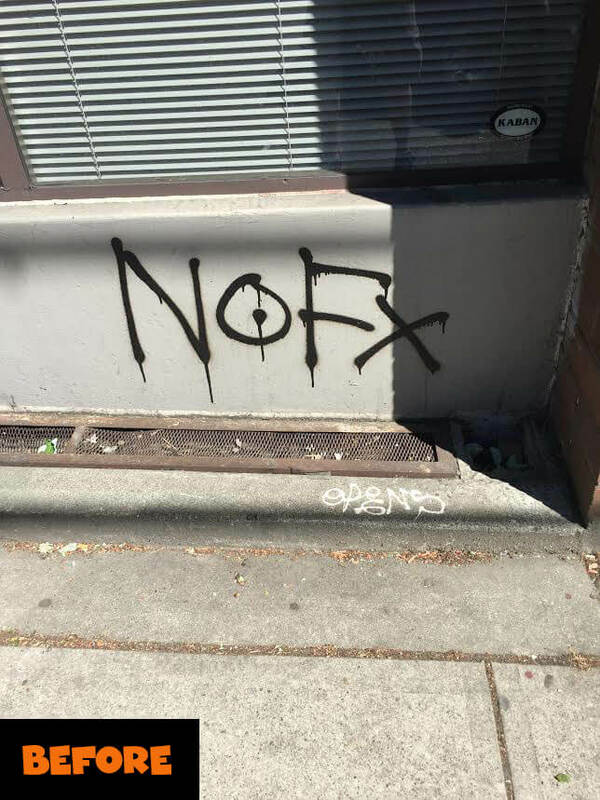 Call our Gorillas as soon as graffiti is found. Over long periods of time, paint can bake into the surface of your property’s exterior. Due to it’s tendency to penetrate surfaces, speedy removal of graffiti is vital. This makes it almost impossible to remove completely without repainting. Our professional and fully certified Gorilla technicians are expertly trained in the cleaning and treating of all surfaces. With the help of our Canadian-made, eco-friendly products and state-of-the-art equipment and processes. If you own a business in Kelowna, you understand the importance of curb appeal. Tourism is a huge industry and competition is high. Let us help get the customers in the door by maintaining the exterior of your business with our Kelowna Graffiti Removal service. Then you can focus on the products and service that will have them coming back again and again.